Bought a new house in the sprawling estate of Ellerslie? Looking forward to your move but wary about how to take up the house removal bit. It’s understandable that we amass a whole lot of worldly possessions and therefore moving them deftly can be a real pain. The thought of damaging them or misplacing them can be daunting. Also, the time and effort required to pack the belongings can leave you exhausted and stressed. But relying on the services of professional movers Ellerslie can make all the difference to your move. 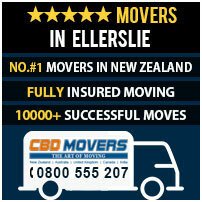 At CBD Movers NZ, we are the finest removalists in Ellerslie. Our experience, equipment and extensive range of removal services can help you move with ease and comfort. At CBD Movers NZ, we take pride in our widest range of removal services. From basic loading and unloading to taking up comprehensive packers and movers job; we have the equipment and expertise to handle all. So, whether it’s house relocation, office shifting or moving heavy and bulky furniture items; you know whom to rely upon! In our endeavor to provide best-in-class services, we constantly upgrade and hone our equipment and skills. We possess the latest removal gear which includes packing supplies, trolleys and ramps for the safest transit. Our huge fleet of trucks includes vehicles of varied capacities. So, depending upon your truck load, we allocate the best and the safest vehicle. Vehicle befitted with climate control technology makes us ready to move over long distances and in any terrain. We enjoy a vast and well established network and hold all the necessary licenses to move interstate without legal hassles. With us you can be sure of a well-assisted and well-executed move. 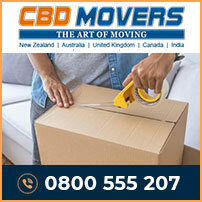 At CBD Movers NZ, we are reckoned for our superior removal services and the most competitive rates. Our customized services helps you avail tailor made removal solutions and therefore helps you remain within individual budgets. Furthermore, the comprehensive transit insurance adds to the safety of the move. We are absolutely transparent in our dealings and have no hidden clauses. Ellerslie, a small suburb in Auckland, New Zealand, is a beautiful town with a population of nearly 9,000 people. Supporting all the amenities of the 21st century, Ellerslie is a perfect place to work and live. At CBD Movers NZ, we take pride in our removal services and offer outclass solutions to help people move to and from this beautiful suburb. Our services are safe, reliable, cost-effective and affordable in every manner. Get in touch with us to know more about our customized services at affordable rates.